Cumberland County School District works with Cumberland County Department of Public Health to help protect children from spreading communicable diseases. Keeping children home when they are too sick for school protects other students and staff from potential illness. Fever: temperature of 100 degrees Fahrenheit or higher. Child must not have a fever for 24 hours before returning to school. Lice, scabies: Children may not return to school until they have been treated. Children with scabies can be admitted after treatment. Ear infection: with fever. 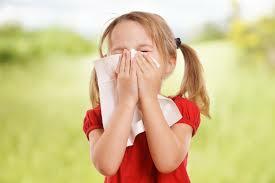 Without fever can attend school, but the child may need medical treatment and follow-up. Untreated ear infections can cause permanent hearing loss. Unusual appearance, behavior: abnormally tired, pale, lack of appetite, difficult to wake, confused or irritable. This is sufficient reason to exclude a child from school.